MBSE HSSLC Result 2019 – Mizoram Board Arts, Science & Commerce Results @ mbse.edu.in. 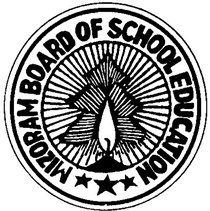 The Mizoram board of secondary education is one of the notable boards in India, which is highly recognized for offering best quality education to the students of the state studying in the schools that are affiliated to it. Several schools as well as intermediate colleges are affiliated to Mizoram board. It conducts examinations like STEE, HSSLC, and HSLC every year. The board also administers the colleges and schools that run under it. It offers curriculum to the schools and also conducts as well as promoted various interactive programs for both the students and the teachers. HSSLC is one of the important examinations being conducted in Mizoram every year and it has been conducted successfully for the current year. Numbers of students have taken this examination and they all have been waiting for the results eagerly. The examination for 12th class was conducted from 5th to 29th March and the result is expected to be in the last week of April. MBSE HSSLC Result 2019 carries huge importance in the academic part of every student. Many of the admissions as well as entrance examinations take into account the 12th examination results to determine the eligibility of the candidates to be admitted into the further set of studies. Students, knowing their responsibility to score good marks in their higher secondary have prepared hard to face the examination and secure sound marks. As the result date is approaching, they are all waiting with expectation to obtain a favorable result and marks that could help them in deciding their future course of action. Students, who want to check their results first, can visit http://manabadi.com/mizoram. Class 12th examinations are not only the toughest examinations, but they also test the understanding and knowledge of the students. With these tests, one must gain knowledge in various streams including arts, commerce and science, based on their chosen stream. These examinations are vital in terms of both professional as well as academic career. Many of the further examinations consider the marks scored in 12th examinations. Mizoram state HSSLC results 2019 are under progress to be released shortly that raise the eagerness of the students who have appeared in the exam. Mizoram state higher secondary school leaving certificate examination will be out online and the candidates can check their results by browsing the official online portal of the Mizoram board of education. The process of checking the Mizoram Board Cass 12 Results is made very simple that the students just need to use the details like name or roll number to get their results. The passing percentage of the students have been rising every year and it is expected that the passing percentage for the year 2019 will be more as the number of students appeared in the examination is more than the previous year. In order to stay informed about the latest details regarding the Mizoram state HSSLC results, students are recommended to keeping visiting the portal for the updates. Students will be intimated by the education board about the exact result publishing date and thus, they need to often check the website. How to check MBSE HSSLC Result 2019 at mbse.edu.in? The appeared candidates can able to check their HSSLC result with the help of their personal details from the official site of the board. It is found out from the trusted source that the Mizoram board of education has planned to announce the results in the last week of April or the first week of May. Generally, the education boards of other states used to release the result in the May month and it can be expected the same will be applied for Mizoram state education board. Yet, there is no official announcement available about the result date, but is anticipated to be out soon.